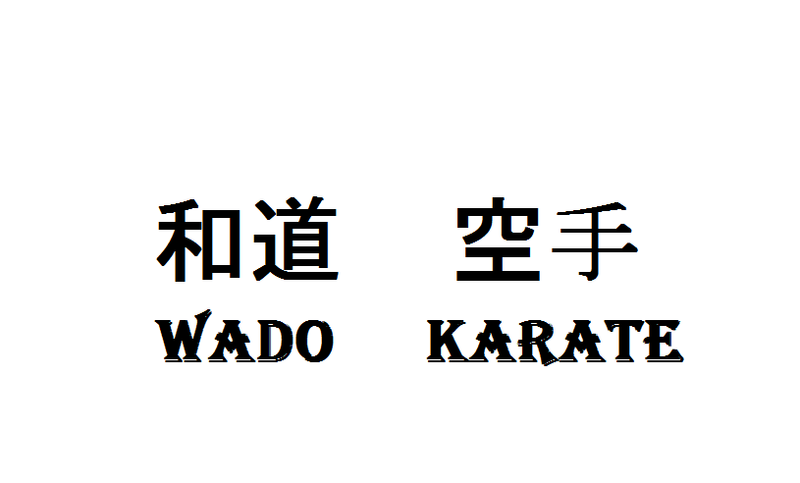 Wado Ryu has many general karate do principles in common with Okinawan karate do styles. However at the heart of Wado Ryu are some fundamental principles which may be traced directly to the influence of Shindo Yoshin Ryu jujutsu and other Japanese bujutsu, but which are not typically seen in Okinawan karate. Maai is usually interpreted as fighting distance but it encompasses more than the physical distance between two antagonists. The combatants state of mind, and spirit, as well as the distance are all subtly related to maai. It might be said that keeping good maai is creating enough space to manoeuvre. However, simply put, in terms of distance, if either the defender or attacker is able to strike the other with an attack without moving the feet, then maai is too short. Good maai is when the attacker can strike the defender by moving a half step forward or the defender can retreat out of range with a half step backward. Of course, this distance constantly fluctuates during fighting and both attacker and defender must be aware of the potential range of his/her own and the opponent's techniques and adjust the distance accordingly. Literally 'remaining mind'. This is a word used a great deal in the martial arts. It's meaning can be interpreted in many ways but, from the point of view of training or self-defence, we can say it usually means awareness. Keeping a clear calm mind in order to be able to sense danger from all sides even from behind. One should strive to have zanshin at all times, but especially in the dojo when fighting or practising with a partner. One method to achieve zanshin might be, to look at your opponent's eyes, but try to observe his whole body. Empty your mind. Do not concentrate on one block or punch but rather let the technique come naturally. Keep zanshin even during and after rei. Taisabaki is usually translated as 'body management' or 'body shift'. However it should be noted that the root word sabaki has the concept of 'just enough' or 'optimum utilization'. So in Wado-Ryu, all movements should be practised efficiently with no wasted motion. Taisabaki often employs shifting by using the hips, though, of course, the use of the hips is essential to all Wado movement. Much of the movement and posture seen in Wado Ryu is based around traditional budo movement. The higher stances commonly seen in jujutsu and kenjutsu are used for mobility. These three expressions describe three kinds of timing for attack and counter attack. Sensen no Sen means to attack when the opponent's intent to attack is perceived, thus pre empting the opponent's attack and catching him/her off guard. Sen means attacking simultaneously with the opponent as in nagashizuki. It implies that the 'defender' will be able to complete his attack first, and/or displace the opponent's attack. Go no Sen means to respond to an attack with a counterattack or block/counterattack. However, the timing must be such as to strike immediately the opponent's attack is completed and before he is able to launch a further attack.